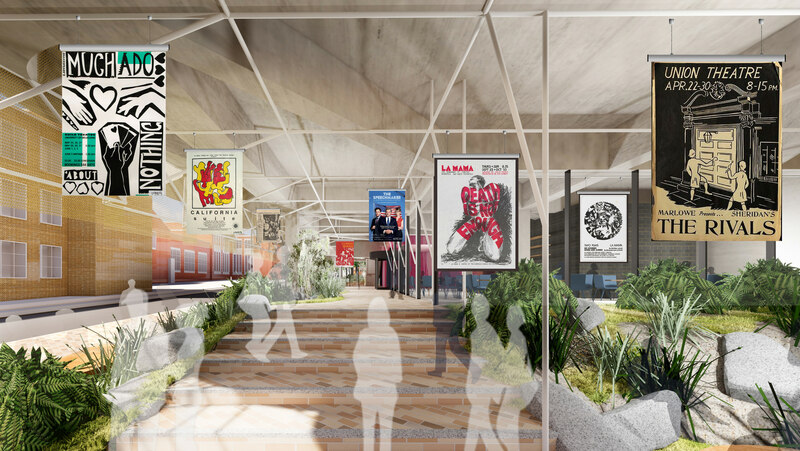 The Project is preparing to commence the 'detailed design' phase of the Project. Detailed design focuses on the implementation of architectural, landscape and interior details, including the documentation and drawing that are required for construction. The intricate aspects of the design including colours, fittings, fixtures and cabinetry are all confirmed in this phase. 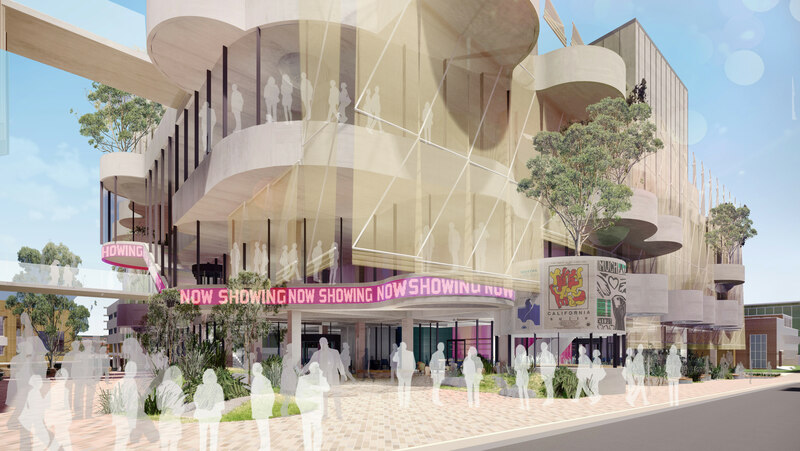 The detailed design stage will commence in November 2018 through to April 2019. Some of the latest designs can be viewed below. For all the latest design renders, visit our Schematic Design Gallery. The outdoor Amphitheatre will have the flexibility to be programmed for a variety of events, performances and activities, including live music performances. 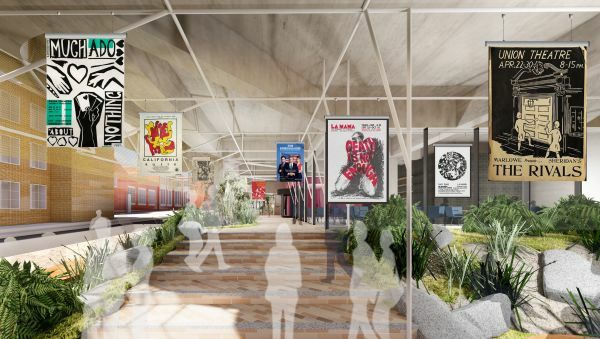 The undercroft of the new Arts and Cultural Building along Monash Road provides access into the heart of the Precinct. Exterior of the Eastern Resource Centre looking along Porters Lane. 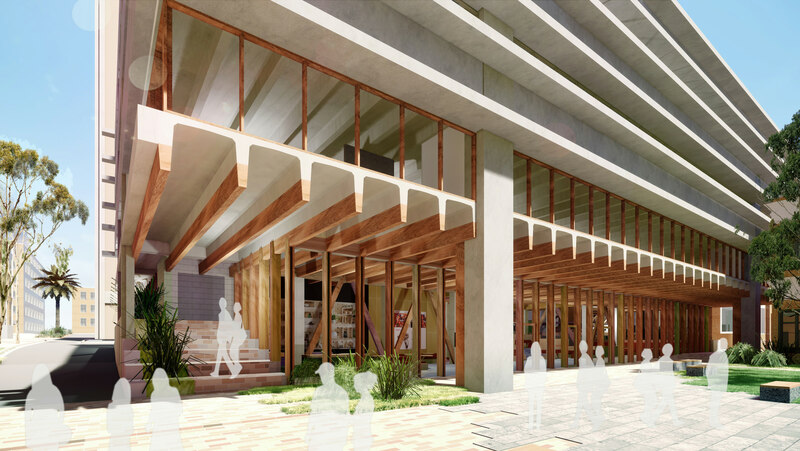 The brick facade will be removed to open up the lower levels, improving the connection between indoor and outdoor space and pedestrian access from Gate 8 on Grattan Street into the heart of the precinct.. 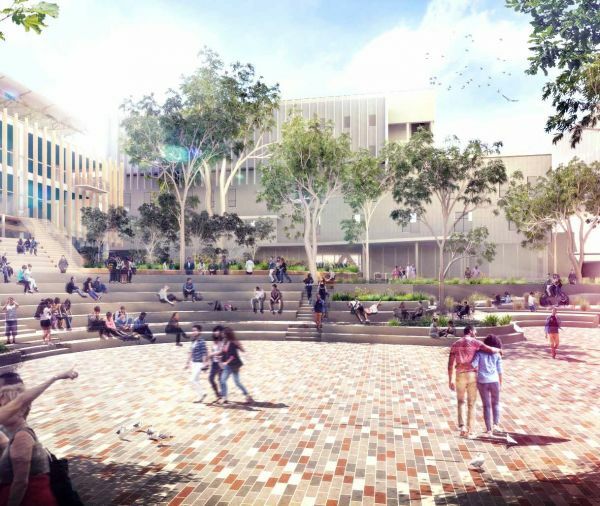 The Outdoor Amphitheatre looking towards the rear of the new Student Pavilion Building on Monash Road. 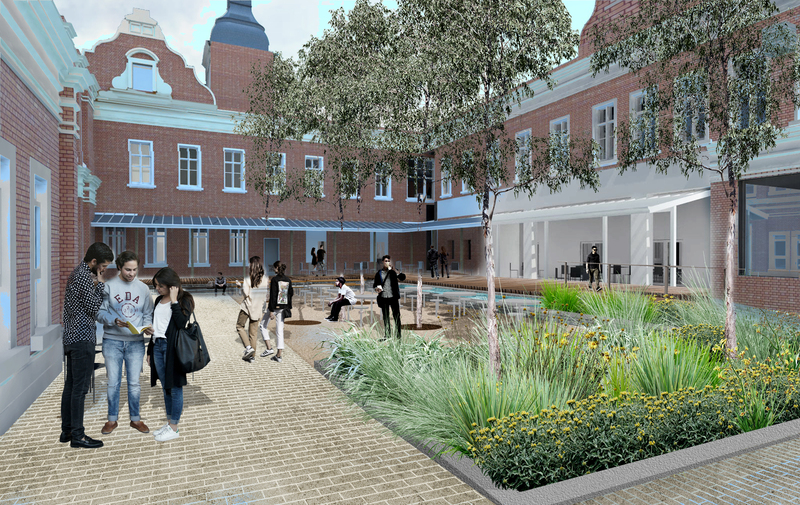 The construction of the Precinct is currently in the Early and Enabling Works stage. Early and Enabling Works refers to the first stage of construction for the Project and is a general term for preparation works that take place prior to the main construction works. This can include demolition and modification works, relocation of infrastructure, services and facilities, removal of existing foundations and other obstructions and preparation works to building facades to ensure buildings are weather-proof, vermin proof and secure throughout construction among others. As part of these works, the John Smyth and Lot 6 Buildings were demolished to open up the site and improve the interface between the Precinct and Swanston Street. 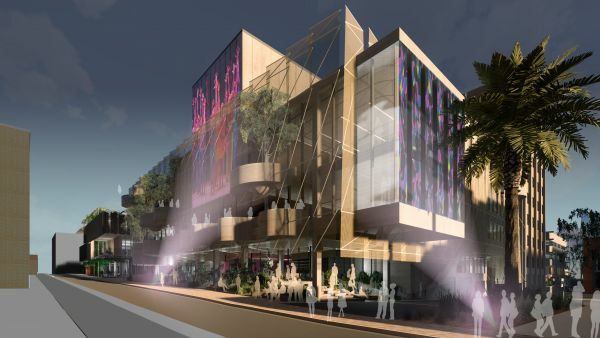 The Alice Hoy Building was also partly demolished to allow for the construction of a new Arts and Cultural Building. The video to he left shows the demolition of the west wing of the Alice Hoy Building completed as part of these works. The Project completed the schematic design phase in October 2018. This design phase builds on the ideas developed in concept design to define and confirm floor plan and facility requirements. 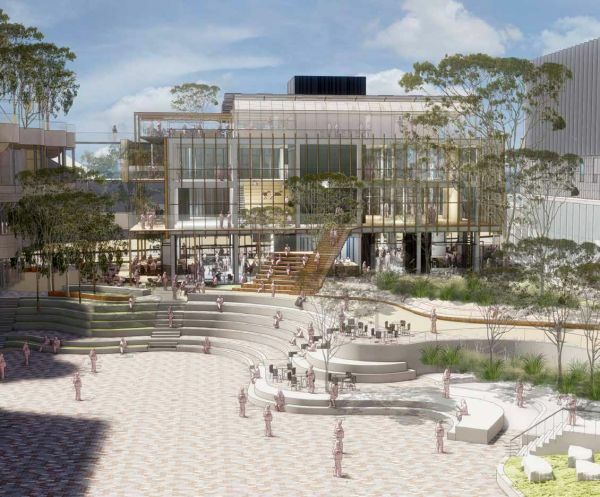 A fly-through of the Precinct schematic design at the 50% complete mark can be viewed below. The concept design stage was completed in May 2018. 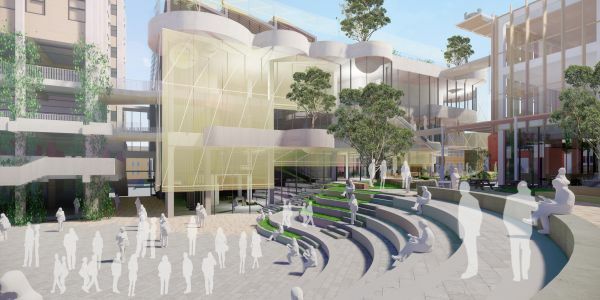 This stage involves the architectural and landscape team undertaking detailed discussions with end-users to develop and define the design, determine floor plans and the Precinct facilities. 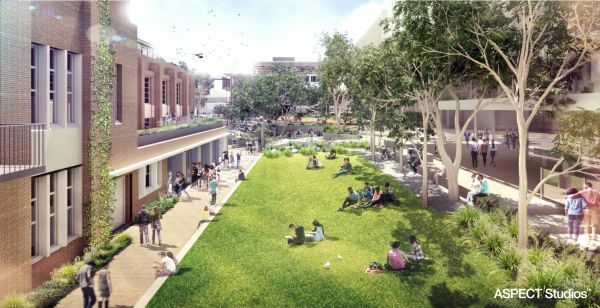 Landscape master planning that considers the site and context of existing trees and landscape – including City of Melbourne interfaces such as Swanston Street and Grattan Street – and the need for activated outdoor, retail and green space, was completed in late 2017. Importantly, the landscape master plan also includes Indigenous and sustainable design principles co-created with students as part of the co-creation process. 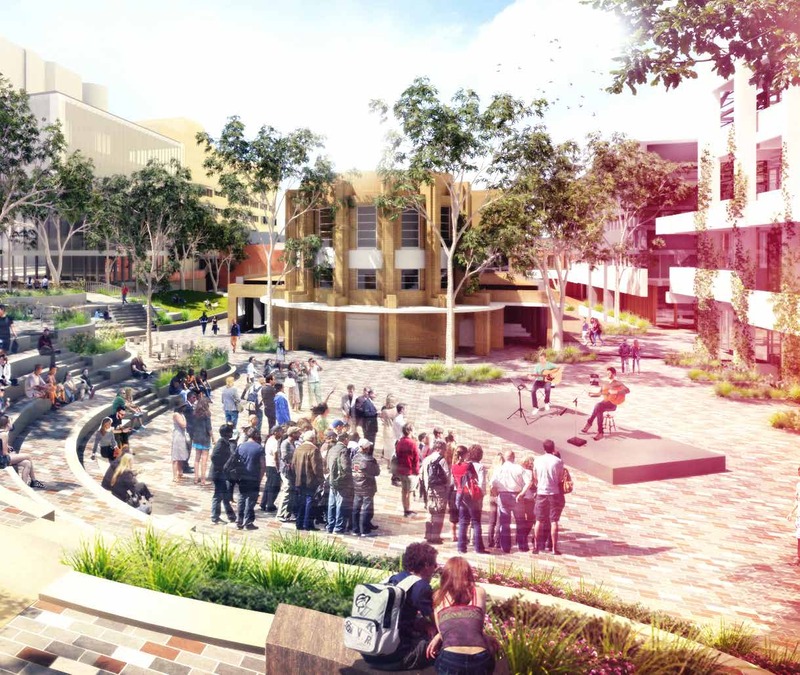 Some examples of the current landscape designs for the Precinct can be seen below. Outdoor space and landscapes will form an integral part of the Precinct, providing areas for students to relax and recharge in the warmer months. The Outdoor Amphitheatre looking towards Swanston Street. 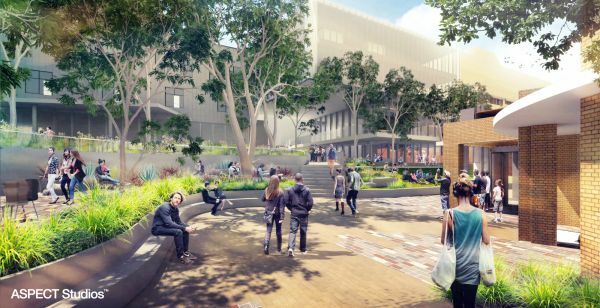 The landscape at Gate 8 Grattan Street will be transformed, creating a sense of arrival and place for the new home of Murrup Barak which will be relocated to Building 170, located to the left of this image. The landscape leading from Gate 8, Grattan Street to the entrance of the Eastern Resource Centre. The former site of Lot 6 will be transformed into a courtyard with native planting at the 1888 Building. An Urban Design Framework, a Feasibility Study and the Early and Enabling Works detailed design were developed in 2016 and 2017. The aim of the Urban Design Framework was to understand the existing site limitations and to identify opportunities and challenges in upgrading existing Precinct infrastructure and developing new building fabric. The Feasibility Study was conducted to ensure the major intervention posed in the Urban Design Framework of lowering the ground plane was feasible. Both pieces of work were instrumental in informing the design of the Early and Enabling Works detailed design.